How are users managed in a multi-user environment? 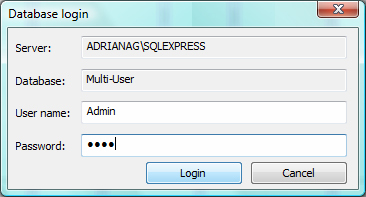 The "Management of users from multi-user database" command is used to create or to delete users from a database. This command is on the "Advance Multi-User" toolbar. 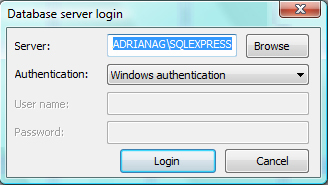 Start the command and the program will ask for the server and the database to change. 1. Connect to the server. 2. Choose the database to change (to add or to delete users). 3. Connect to the database. 4. Define new users in the database using the "Create" button. 5. Enter names and passwords for the new users. The password is unique for each user. 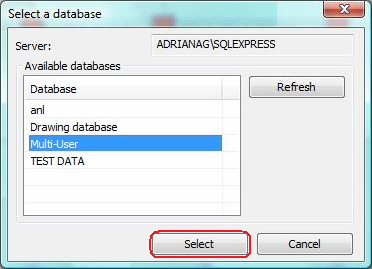 To delete a user from database, select the user and then click "Delete".